A multi-asset investment management approach provides diversification benefits, enhances risk-adjusted returns and enables a portfolio to be tailored to a wide range of investing objectives, whether these are generating returns or income, or matching liabilities. 1. Establishing objectives: Defining the return objectives, risk objectives and investment constraints of a portfolio. 2. Setting an investment strategy: Setting a plan to achieve investment objectives by thinking about long-term strategic asset allocation, combining asset classes and optimisation to derive the most efficient asset allocation. 3. Implementing a solution: Turning the investment strategy into a portfolio using short-term tactical asset allocation, investment selection and risk management. This section includes examples of investment strategies. 4. Reviewing: Evaluating the performance of a portfolio by examining results, risk, portfolio positioning and the economic environment. By dividing the multi-asset investment process into these well-defined stages, Yoram Lustig guides the reader through the various decisions that have to be made and actions that have to be taken. He builds carefully from defining investment objectives, formulating an investment strategy and the steps of selecting investments, leading to constructing and managing multi-asset portfolios. At each stage the considerations and strategies to be undertaken are detailed, and the description of the process is supported with relevant financial theory as well as practical, real-life examples. 'Multi-asset Investing' is an essential handbook for the modern approach to investment portfolio management. Yoram Lustig has been managing multi-asset portfolios for over a decade. During his seven years at Merrill Lynch, as Head of Portfolio Construction EMEA, he was responsible for managing multi-asset discretionary portfolios, selecting investments, setting investment strategy, managing portfolio risk and producing performance analytics. In his current role, as Head of Multi-Asset Funds at Aviva Investors, Yoram leads the multi-asset fund team, overseeing over 120 multi-asset funds with assets under management of over Â£70 billion. He holds the following designations and credentials: MBA from London Business School (University of London), L.LB. 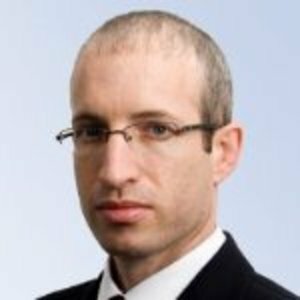 (law) from Tel-Aviv University Chartered Financial Analyst (CFA), Professional Risk Manager (PRM), Chartered Advisor in Philanthropy (CAP) and Attorney in New York State and advocate in Israel.